Liz Jensen was born in Oxfordshire, the daughter of a Danish father and an Anglo-Moroccan mother. She spent two years as a journalist in the Far East before joining the BBC, first as a journalist, then as a TV and radio producer. 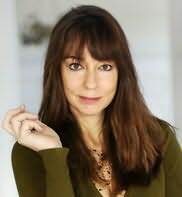 She then moved to France where she worked as a sculptor and began her first novel, Egg Dancing, which was published in 1995. Back in London she wrote Ark Baby (1998) which was shortlisted for the Guardian Fiction Award, The Paper Eater (2000), and War Crimes for the Home (2002) which was longlisted for the Orange Prize and is currently being adapted for the stage. Her latest novel, The Ninth Life of Louis Drax, is published by Bloomsbury in June 2004, and will feature on Radio 4’s Book at Bedtime. Next year it will be brought to the screen by Miramax, in a movie written and directed by Anthony Minghella. CLICK HERE FOR MORE BOOKS BY LIZ JENSEN. 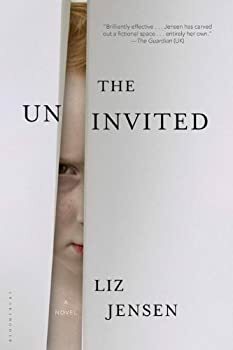 The Uninvited opens with a scene of intense horror, as a young child slaughters her grandmother with a nail-gun to the neck. “No reason, no warning.” Everyone’s immediate reaction is that there has been a terrible accident, especially as the girl is found staring at the wall, as if in shock; but then she comes to herself, grabs the nail gun, and puts it to her father’s face and fires again. “One murder, one blinding. Two minutes. No accident.” The girl had just turned seven.